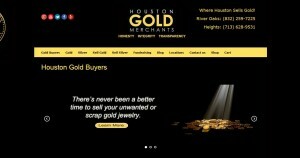 Houston Gold Merchants address, phone, website, hours of operation, and more. At Houston Gold Merchants, we do things differently than other stores…we do business honestly. We just tell you what’s going on…then we let you decide. That’s it. That’s the whole program. If you want someone to tell you the truth, help you figure out where you can get the most for your gold or silver, we’ll do that. Because it’s the right thing to do. At Houston Gold Merchants, you never have to sell. You’re just checking? That’s fine. Want to weigh it and decide? That’s okay, too. Want to think about it for a while? We understand. Take your time. Yes, we’re a gold buyer. We buy gold and silver jewelry. We buy coins that are gold and silver. We buy silverware and silver jewelry. We’ve been in business for more than three years now and although there have been challenges, being a gold buyer in Houston is easy.